Wouldn’t it be nice to stop decay-causing bacteria before they even reach your teeth? That’s exactly what dental sealants do. Dental sealants—also called pit and fissure sealants or just fissure sealants—are a solid barrier that is adhesively bonded directly to the enamel surface of your teeth. At Advanced Dental Care, Dr. Jorgenson most frequently prescribes sealants for young children whose deeply pitted and grooved molars are especially susceptible to dental caries, or cavities. However, adults can also benefit from sealants, especially if they happen to be prone to tooth decay. Why Choose Advanced Dental Care for Dental Sealants? 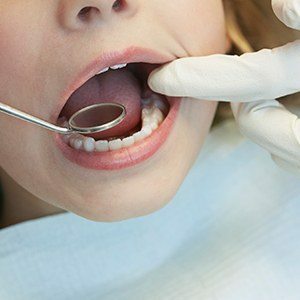 Are Dental Sealants Necessary if I Brush Regularly? Brushing and flossing go a long way toward removing food particles and plaque from the biting and chewing surfaces of your teeth. However, the bristles often cannot reach deep into the narrow grooves and pits of your teeth. Consequently, bacteria can feed on these particles and excrete the acids that cause cavities. Plus, while fluoride toothpaste and fluoride treatments in our office do help strengthen tooth enamel, dental sealants are an added layer of protection. Whether for a child or an adult, the first step in placing dental sealants involves thoroughly cleaning the teeth with fluoridated toothpaste and a rotating brush. One of our dental hygienists will do this. Then, the teeth are rinsed with water and dried. Next, Dr. Jorgenson applies a mildly acidic solution to the chewing surface of each tooth. This solution slightly roughens the surface, much like fine sandpaper on wood. After just a few seconds, the solution is rinsed off and the tooth is once again dried. Then, the liquid dental sealant is painted onto your teeth and quickly dried with a special curing light. Once the sealant is hardened, you can eat and chew on your teeth again. Dental sealants hold up very well under the anticipated pressure of regular chewing and biting. Therefore, you can expect your new sealants to last for years. Dr. Jorgenson will check the condition of your sealants at each of your dental checkups and replace any if necessary. 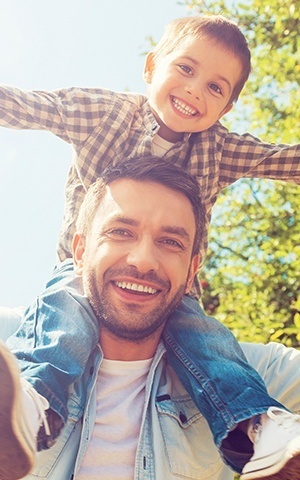 Dr. Jeremy B. Jorgenson and his dedicated team at Advanced Dental Care want to help you and your families enjoy the optimal level of oral health. With dental sealants, you can win the daily battle against decay-causing bacteria. Contact our team today to find out more about Costa Mesa preventive dentistry treatments or schedule your visit.